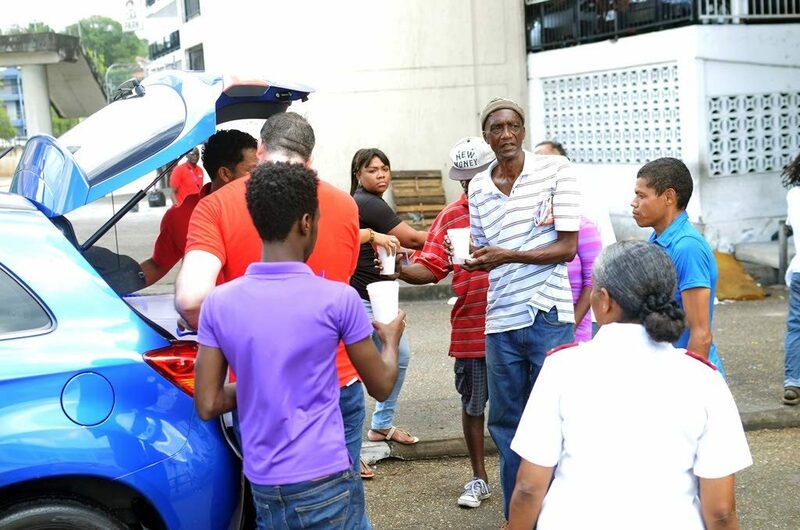 Digicel employees help Major Harry from the Salvation Army with the Annual Soup Feeding outreach. The Digicel Foundation gave members of staff the opportunity to give back to the community earlier this month through the Foundation’s Annual Soup Feeding outreach. Socially displaced members of the downtown Port of Spain community line up to receive their cup of warm soup from the Salvation Army and Digicel. 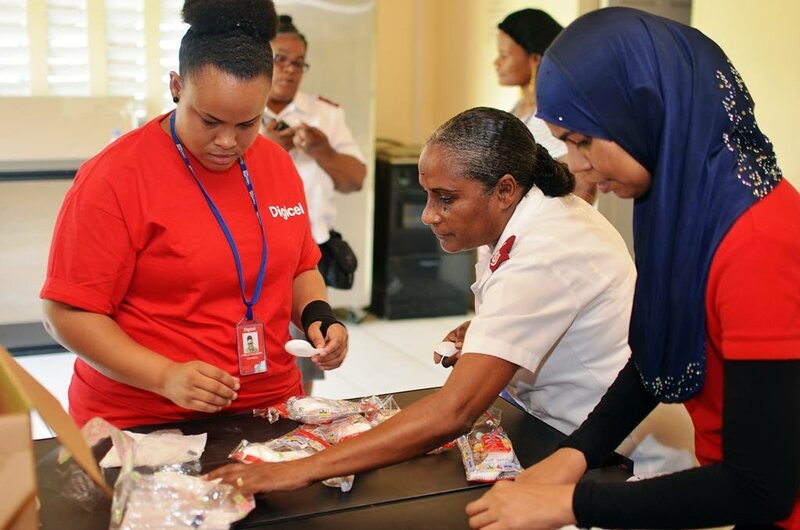 A number of staffers volunteered for the outreach, which was led by John Delves, Digicel CEO along with staff from Digicel Business, Customer Care and Digicel Home Entertainment. Armed with cups of soup, they walked through the streets of Port of Spain distributing the hot meal to people along the streets and at the Centre for Socially Displaced Persons. 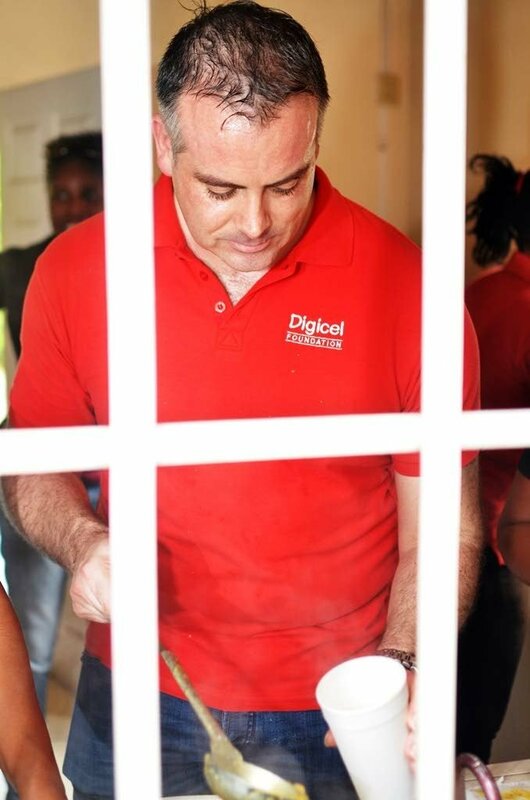 Digicel CEO John Delves dishes outwarm soups to be distributed among the socially displaced in downtown Port of Spain. The soup was prepared at the Salvation Army, Duncan Street, Port of Spain. Reply to "Digicel Foundation gives back"